I’m always coming across cool news, videos, etc. that don’t need full dedicated articles. 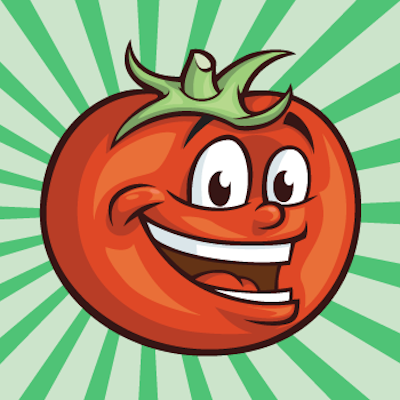 I want to share them though, so I’ve started bundling them together in roundup updates. 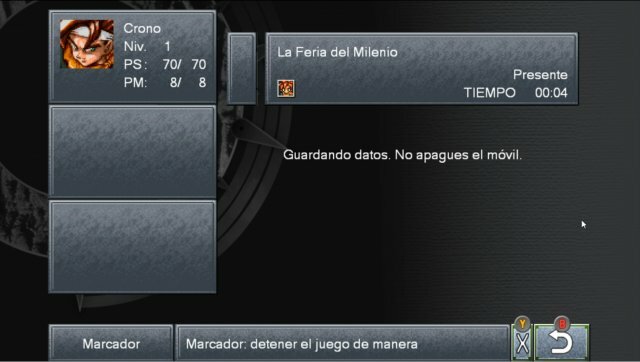 The Spanish PC version of Chrono Trigger tells you not to turn off your cell phone? 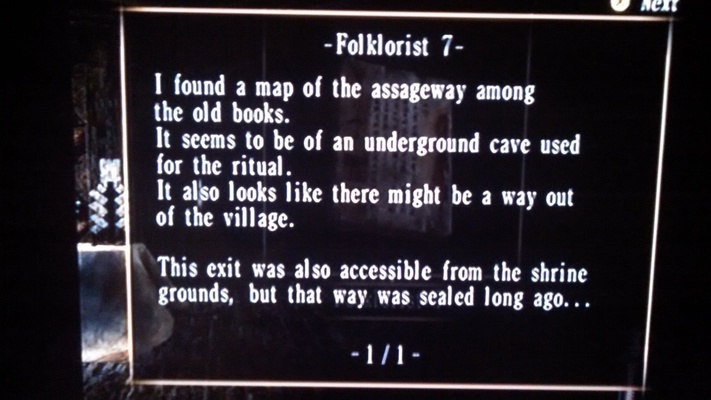 If you ever find weird minor mistakes like this in a game, let me know! Little stuff is sometimes the best stuff for articles and features! 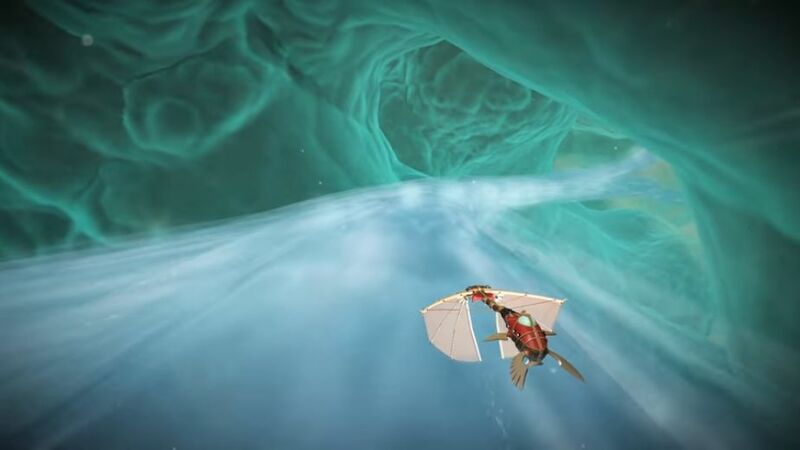 There’s a new PC & PS4 game coming out soon called Heaven’s Vault in which you explore an ancient alien civilization and try to figure out its language… all from scratch. I've been thinking of doing some kind of translation or localization game myself, so I'm curious to see how this one works. It's a very tough topic to make a game about! "Glyphs" is a weird word we need to use more often in everyday language. 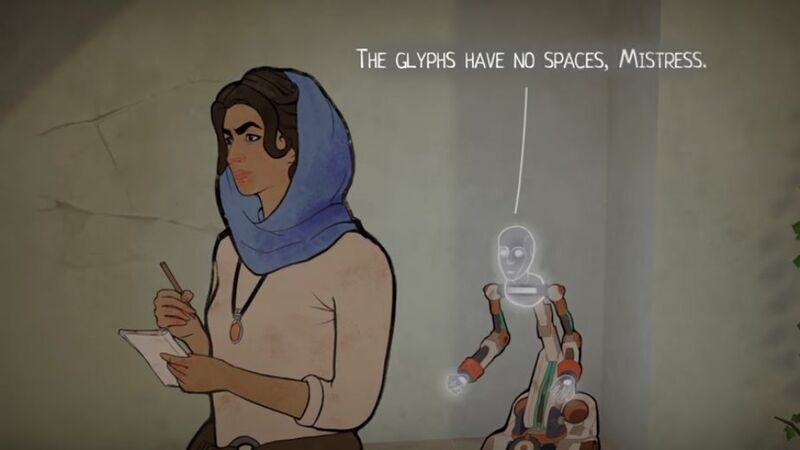 "I'm sorry, but your glyphwriting is terrible." I'm going to guess that this is, uh... the translator's train of thought expressed in physical form? If you’ve never tried to piece together a foreign language from scratch, it uses parts of your brain you probably didn’t know you had. It’s also how I started learning Japanese way back when, so I’m excited to see others go from “this makes no sense” to “aha! …no, wait.” over and over too. 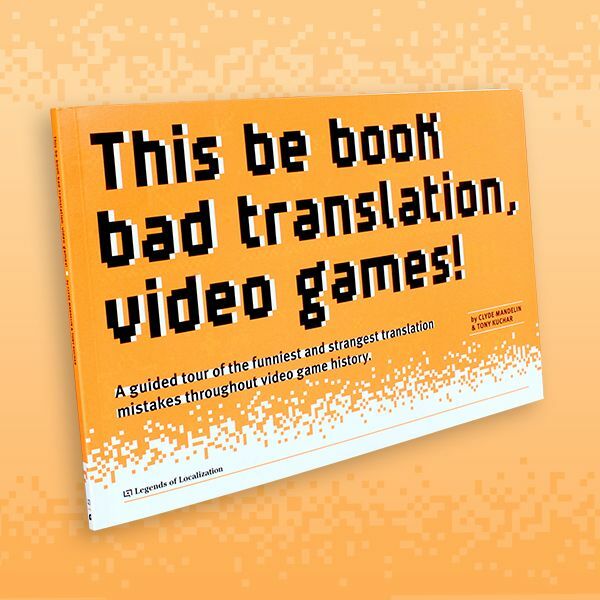 Read more details about this exploratory translation game here! Two of the head Yakuza localizers had a chat about their experiences and challenges with the series. Without a doubt, I consider Yakuza 0 to be one of the most fascinating and skilled game localizations I’ve ever seen, so any discussion about what goes on behind the scenes is bound to be great. I’ve only skimmed the article though, because I want to go into Yakuza 6 completely blind when it comes out later this month. Man, I would so love to do an entire book on just Yakuza 0 alone. There’s so much going on in that game – and it’s all so incredibly steeped in Japanese culture – that it’d easily fill hundreds of pages for sure! 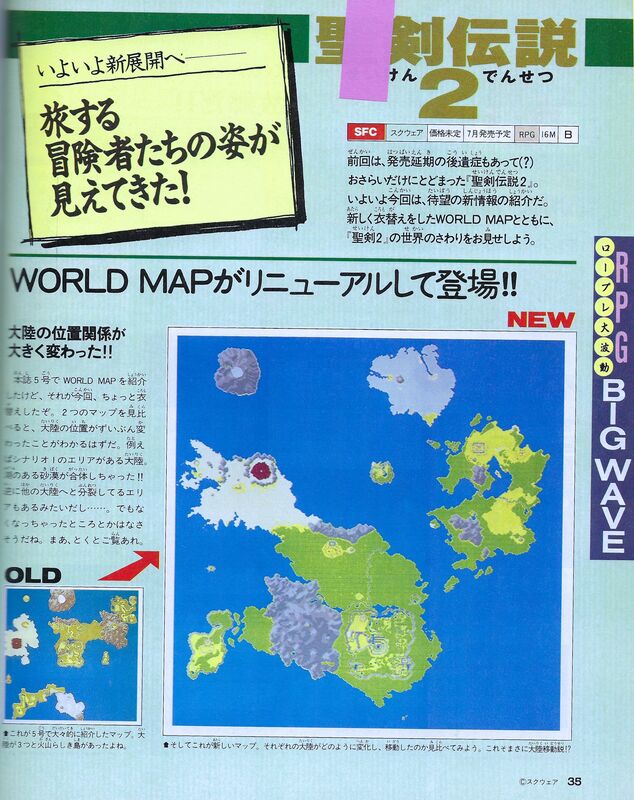 I was going through old Japanese magazines for an upcoming article and came across this scan that shows the before-and-after versions of the world map in Secret of Mana . Ack, sorry for the crappy quality! I’ve shared the before/beta pic before, but I’d never seen it compared like this in any of my magazines until now. 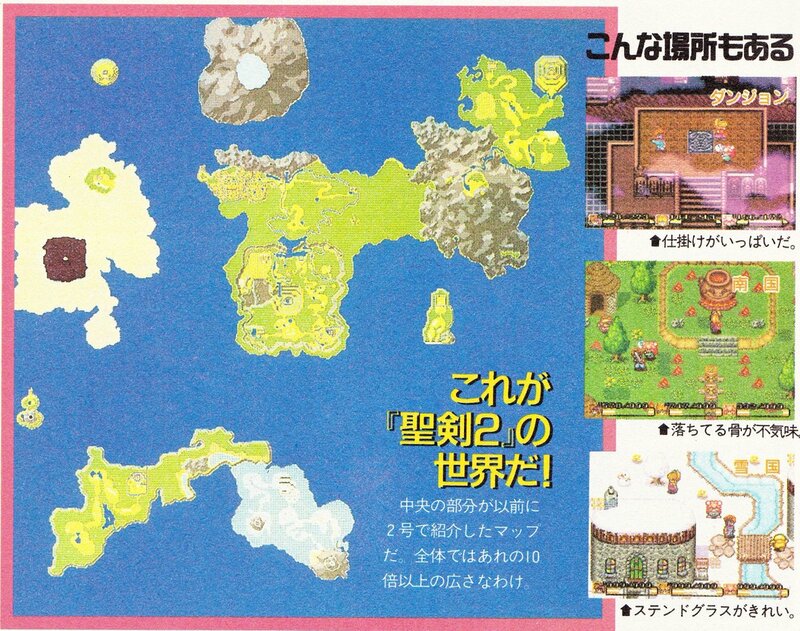 It’s kinda neat, and is possibly a rough indicator of when exactly Secret of Mana underwent its major development changes. There was some localization talk recently about how monster names in Monster Hunter: World were chosen, and how the big plan for a worldwide localization project was a real challenge. You can read all the details here. I don’t know the first thing about Monster Hunter but I bought the new game to check it and its localization out sometime. All I know for now is that it has tons of crazy names and that those crazy names have a history that spans a whole bunch of previous games, so it’s a little daunting jumping in blind like this. But hopefully it’ll be fun! For the latest entry in the Atelier series, Koei-Tecmo switched from having Acttil localize the game to a group called Keystone. Much of the script seems solid enough, but here and there you’ll find the odd goof. What is Hagel trying to say in this screenshot? I have no idea what this is trying to say either! If you think you know what he’s saying, let us know in the comments! 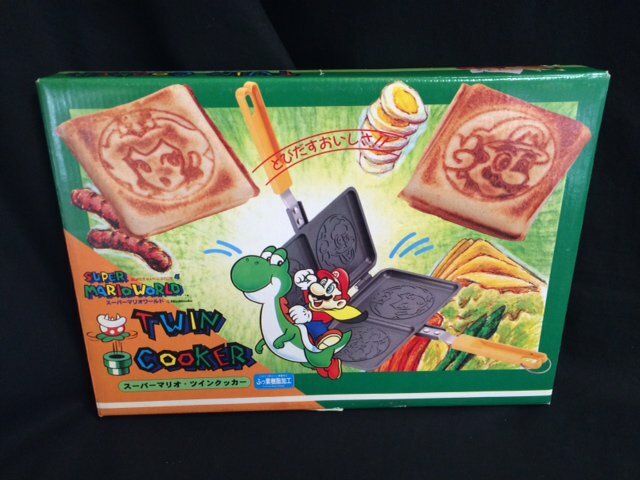 I’m also curious how this even happened, especially if most of the script is well-translated. Could it be another case of Vesperiosis or Berseri-itus? Well, that’s all for this roundup. If you find anything you think would fit into one of these roundup articles, let me know in the comments or on Twitter! I looked up Telefang and was mildly surprised to discover it is not a Link’s Awakening reskin. Nope, it’s a Pokemon-esque game, IIRC. Because of the typo disaster above, I can’t really say what the original English parsing intention might have been, but it was probably meant to be a more padded-out version of the line. glad to see you picking up my favorite series, monster hunter! long time reader, first time commenter. I always wanted to ask about the particular term G Rank in monster hunter. The final release in a certain monhan’s generation usually includes G rank, which is basically a 3rd tier of difficulty after Low rank and High rank. But what does the G mean? Assageway is that guy from Wikileaks, right? Though i don’t have a picture of it, i recently came across a really good example of good grammar in an NES game. The game was Dragon Warrior II (Dragon Quest II). There was a type of enemy called a Vampirus, and when I encountered a battle with multiple ones, the game said “2 Vampirii appeared”. I was legitimately surprised to see that level of pluralization in an NES game, of all things. 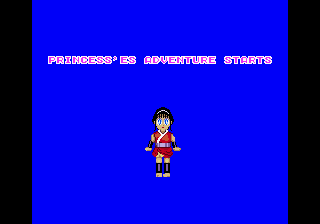 The Dragon Warrior NES localizations also had auto linebreaks, something way beyond typical NES localizations. I added that for the fan translation of Shell Monsters Story but that was quite difficult, especially for being one of my earlier ASM hacks. I think they also had spelled monster quantities in words, which is another point for unusually high technical work for its era. 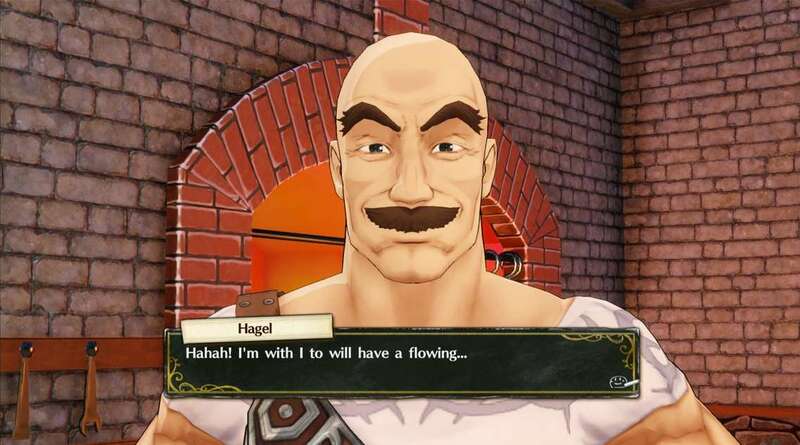 Yeah, I was legitimately surprised at the quality of the localization of the early DQ games. One of the big problems i’ve always had with the early Final Fantasy games was how most characters, spells and items could only be so many characters long. 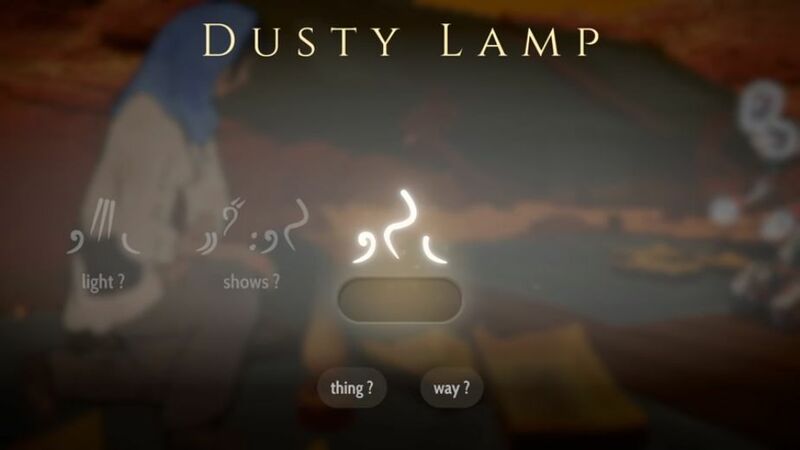 Shortening Lightning to Lit or trying to name my character with only four letters just always bugged me. But then when i first played Dragon Warrior 1 on NES last summer, i was amazed that there were no such limitations anywhere in the game. I could easily enter my name as “Morgil” without any problem. The late Satoru Iwata did uncredited programming for the first game’s English release, handled by Nintendo. The other three were by Enix US. I’m not surprised, it was high quality programming for the era not even many of Nintendo’s own first party games benefited from. Your example is probably a second list of pluralized enemy names. It’s still impressive they even thought of it. The Chrono Trigger PC port has some stuff even in English like “emojis not supported” on the character naming screen. Judging by the public beta going on it’ll all get patched out soon enough. Seriously if you want to know anything at all about Telefang, the bootlegs and/or the ongoing English fan translation patch, please please contact me 😛 Our fan community is seriously chomping at the bit to talk with you about it! The new Atelier game wasn’t handled by Keystone but by Keywords. (I checked the credits to be sure.) They’re the same company that does the Tales Of series. 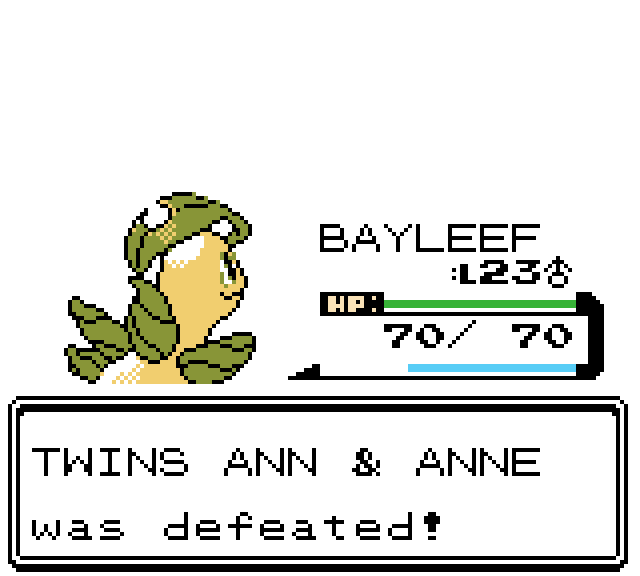 I guess in the Pokémon Gold / Silver / Crystal, the English translation team didn’t take into account you would sometimes be facing two trainers. The Japanese version most likely only used one command dialogue for beating a training, so the English only used one as well (it would be curious to see what the Japanese translation is). 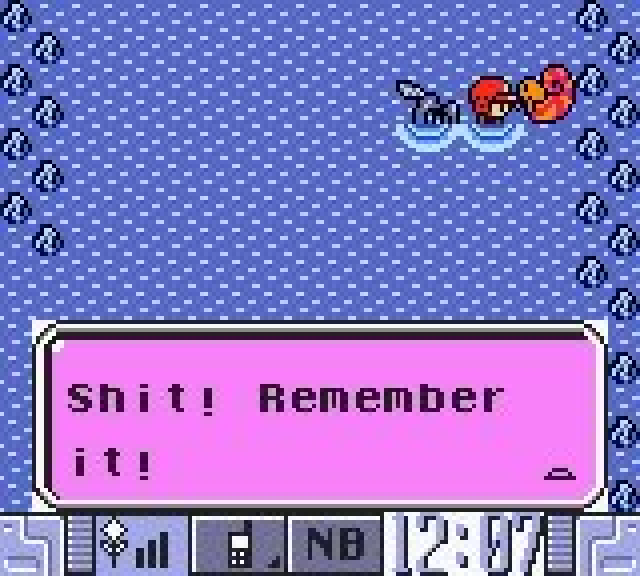 I wonder if this occurs in the later versions of Pokémon? “You defeated X” is past tense. “X was defeated” is perfect tense. (I only know what that is because of French lessons.) I like your suggestion, though. Also, according to Bulbapedia, Crystal (not sure about Gold and Silver) uses Japanese elipses in the English translation. All three versions also apparently use Japanese quotation marks in the English translation. Also, the icon for changing the names of the hero, partner, and team in Pokémon Super Mystery Dungeon is a pair of Japanese quotation marks, in all versions. In the generation 3-5 games (Ruby/Sapphire-Black 2/White 2) the text when defeating a trainer was “Player defeated [x]!” but since the 3DS games started it has been “You defeated [x]!” They might have changed it because that’s when the double battle mechanics were first introduced. (in G/S/C twins were fought in single battles like all other trainer classes. The difference between twins and the other classes in G/S/C is that you can fight their Pokémon in a different order depending on which twin you interact with before the battle). Self-correction: In Gen 3 at least the text for winning a double battle is “[X] and [x] were defeated!” which is correct at least. (The twins class and some others may have different text because they are specifically pre-programmed to be double battles – I don’t know anything for certain though). I’ll take a more thorough look into it (for my own curiosity if nothing else). Poor Atelier. Koei Tecmo is such a retarded company, and trust me, that one screenshot alone does not speak of how terrible the translation work for Lydie & Suelle is. i’d really love it if you did a whole book on yakuza 0…!! 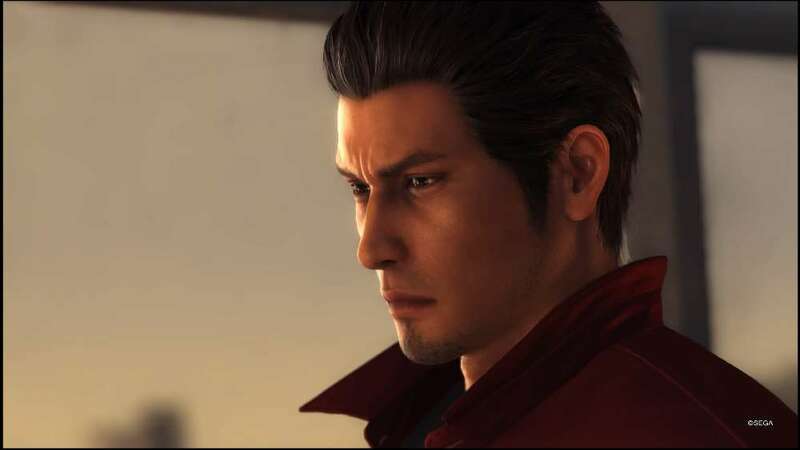 i know japanese but after falling off the wagon regarding being consistent with my self study, that game’s localization legitimately made me go back to college so i can hopefully pursue localization and translation as a career ;__; yakuza 0 is a very influential and important game to me! 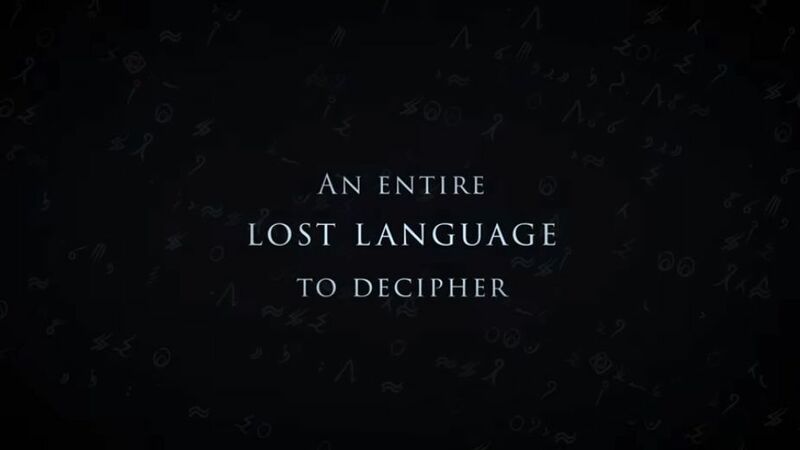 There’s actually another game that’s about translating a fictitious language; it’s called Sethian. I personally found it a bit hand-holdy but it’s worth checking out. It’s available on Steam.